KAZAN, Russia (AP) — James Rodriguez missed training on Saturday and a scan showed that he had minor swelling of his right calf, three days before a last-16 match against England at the World Cup. Rodriguez, who was the top scorer at the 2014 World Cup, has been bothered by the injury since the start of the tournament in Russia. Colombia's soccer federation said in a statement that the 26-year-old attacking midfielder didn't have a tear in his calf. No further details about the injury were immediately given. Rodriguez left the field in the 31st minute of Colombia's 1-0 victory over Senegal on Thursday night, but his injury has never been officially disclosed as the reason for the substitution. The South American team faces England on Tuesday at Spartak Stadium in Moscow. Before training on Saturday, midfielder Carlos Sanchez and backup goalkeeper also didn't shed any light on Rodriguez's recuperation. "James is a leader, but I'm also sure that if James isn't there, there are others who can step in and make the difference," Sanchez said. "Each member of the team's squad is here to play and they have the experience." Rodriguez missed two training sessions before Colombia's first group match against Japan and didn't start in the 2-1 loss. He was fit enough to play a full 90 minutes in the second match against Poland in the 3-0 win. 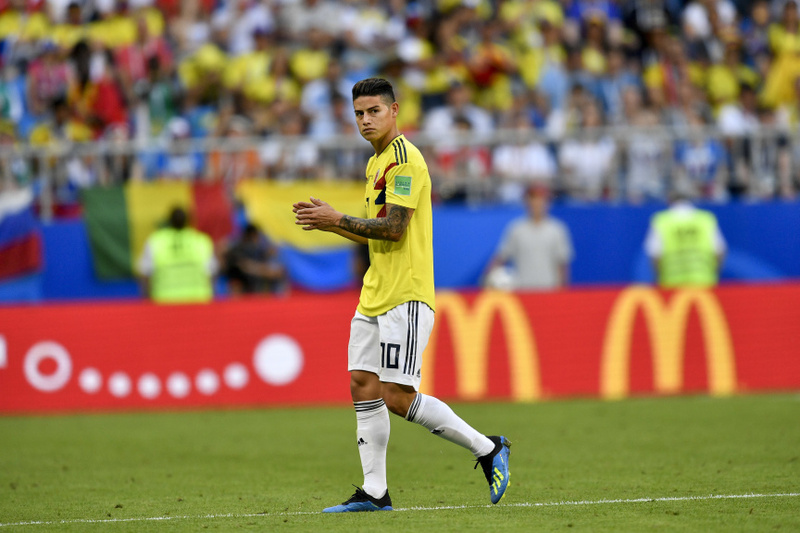 With Colombia facing England on Tuesday, the possibility that Rodriguez wouldn't be fit enough to play would be a major headache for coach Jose Pekerman. "It's not a secret to anybody what James means for us, not only in football terms, but for the group. But I stand by what Carlos says," Camilo Vargas said. "At the level of the national team, everyone has the hope of giving their best. "Whatever happens, all 23 players have that dream."